The 2018 Dakar rally, one of the toughest held in recent years, concluded with a masterful performance by the Himoinsa team, the best Spanish team in Dakar 2018. Four of the five components making up the red formation have achieved the goal of finishing the race and they have done so in impressive fashion, placing two of its components within the top ten and the complete team inside the top 30. Gerard Farrés, in his last Dakar as a motorcycle racer, has put a finishing touch on his career with a great performance that has allowed him to fight with the best, to challenge the factory motorcycles day after day and make use of his experience, his serenity and his ability as a great navigator to finish the race in 5th position. Farrés puts the cherry on top of his career as a legend in this category, a rider who in eleven participations has always stood out for his enormous consistency and, more importantly, his immense sportsmanship. Farres reported after the rally: "We have worked really hard throughout the year, last year did not come easily, but the whole Himoinsa Team, Miguel and everybody have believed in us and we have shown that the work has paid off. I am very happy with what we have achieved in this Dakar, in a private team, with other values, with great camaraderie and with all the riders here and with very good results... it is a real shame for Rosa." In the last stage, in fact, Dani Oliveras, the great revelation of this edition, was even fighting for the stage victory and, in the end, achieved a worthy 4th place as the best Spaniard, which allowed him to secure his 9th position overall, which he fought hard for during these two weeks. 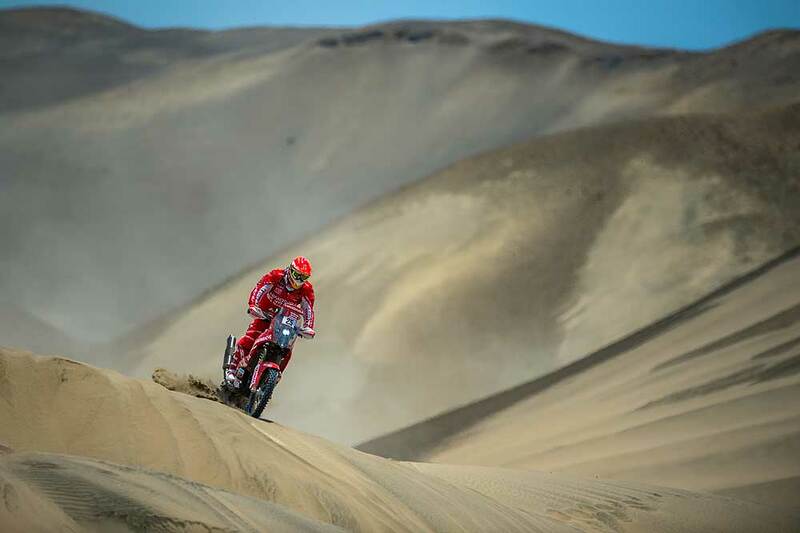 "I pushed hard because I know I rode a good Dakar and I wanted to finish with a good stage so as not to lose any positions and stay ninth in the general," said Dani Oliveras. "I did what I knew, I rode at a high pace but paying special attention to the rocks and the dust. There were cars in the way, but it was a good stage because I did not want Cornejo or Pedrero to pass me. I did a good job with the navigation, it went very well and I maintained a constant pace without risking more than necessary in a rally with a very high level, I finished with a great result." Also Marc Solà, still in pain after his crash in the marathon stage, pushed hard to secure his spot inside the top twenty and achieved a great result, 12th in the special and 19th final overall, which speaks clearly of his potential. "The last stage is always really tough, there was a lot of dust and I had to push to catch those in front, but it went well," said Sola fter the last stage. "I am very happy to finish such a hard rally, it makes me sad that Rosa is not here, but we are happy for the result of the whole team, we are going to enjoy our result as a reward to all the Himoinsa Team’s work, thank you very much team." 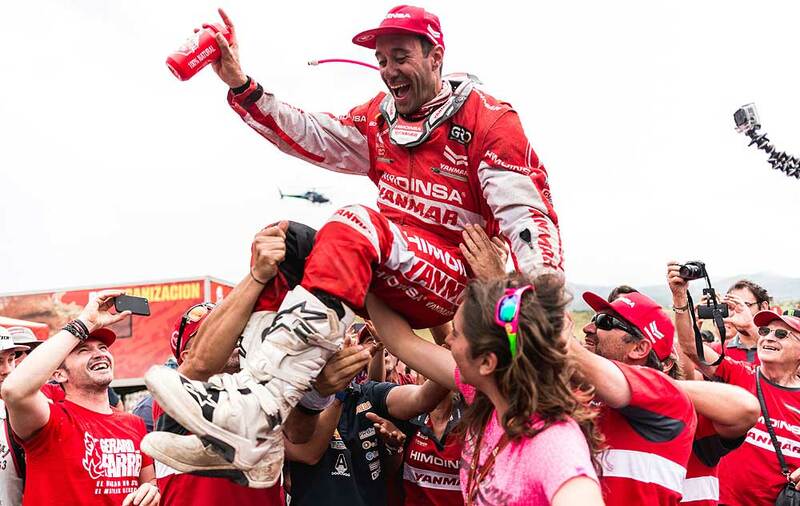 Iván Cervantes was also happy, the multiple time Enduro World Champion has struggled in this Dakar like everybody else, and in the end had his own taste of personal success in this incredible squadron led by Miguel Puertas, finishing as 29th overall. Cervantes finalized: "In the beginning it was bad, with a fever, with a crash and with some mechanical problems, but we have overcome everything and in the hardest Dakar that I have ever raced, I am here across the finish line with a great performance by the whole team. I want to appreciate all the effort, trust and brotherhood of this Himoinsa–KTM team and all those who have worked for it." 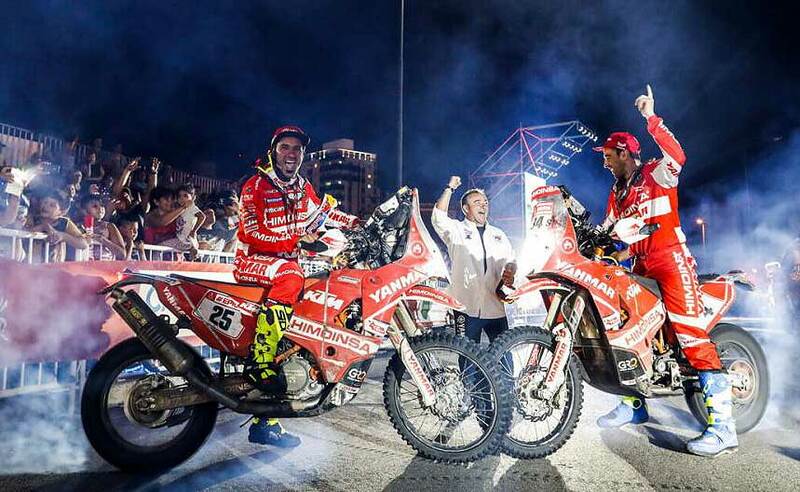 The 2018 Dakar is over, the exhausted Himoinsa Team riders embraced the finish line celebrating the new success of a team that has made history in the toughest race in the world. Aside of its amazing results, these last few years the team has been an ambassador of the values of effort, enthusiasm and sportsmanship which have always been the signature of this race and this team.